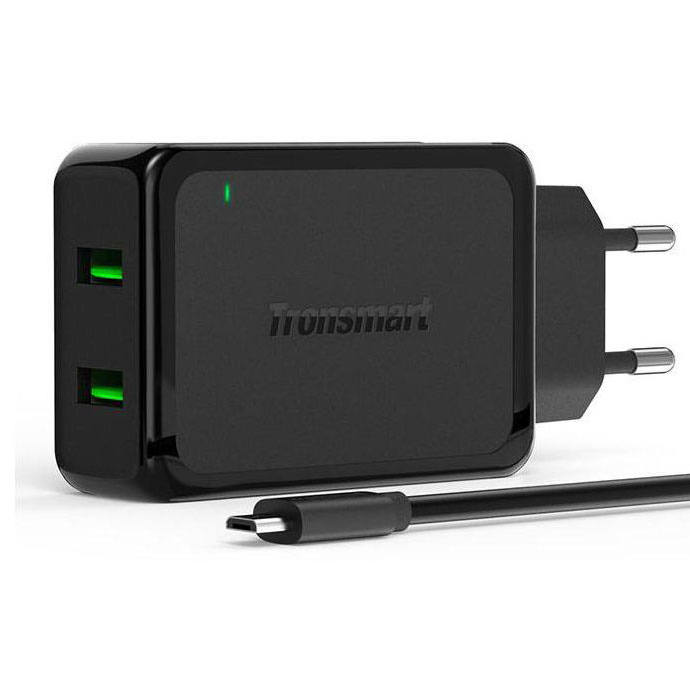 All in one design, featured with the latest 2-in-1 charging chip. 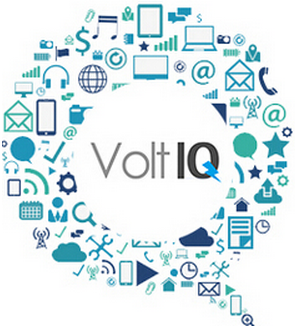 Design both Qualcomm Quick Charge 2.0 and smart detective technology VoltIQ in one chip. 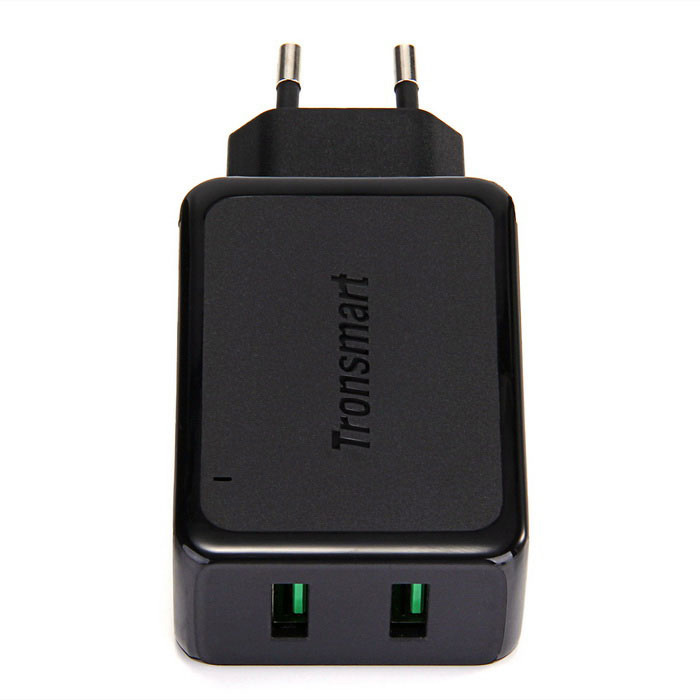 Total 36W for dual ports, maximum 18W for each port. 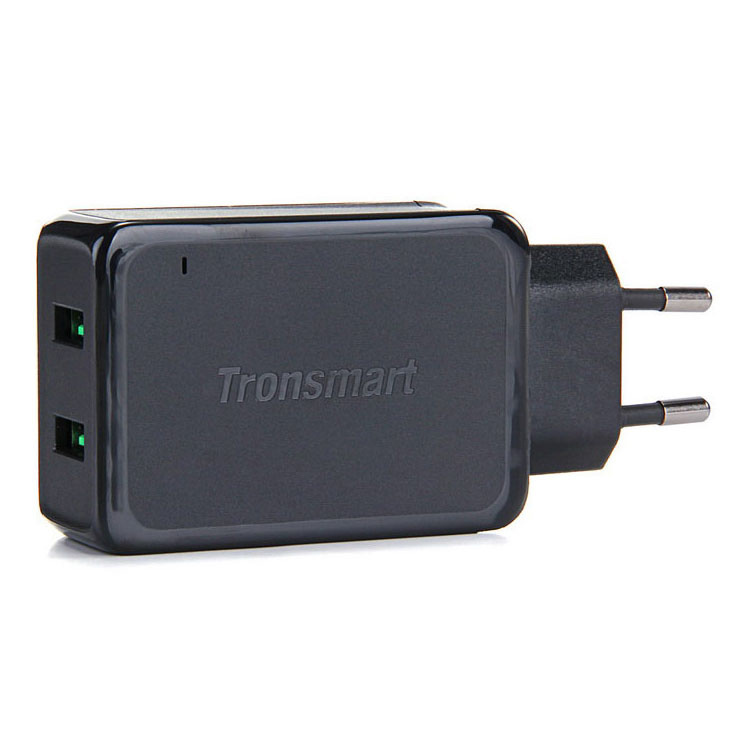 A good choice for USB wall charger in family and office use. 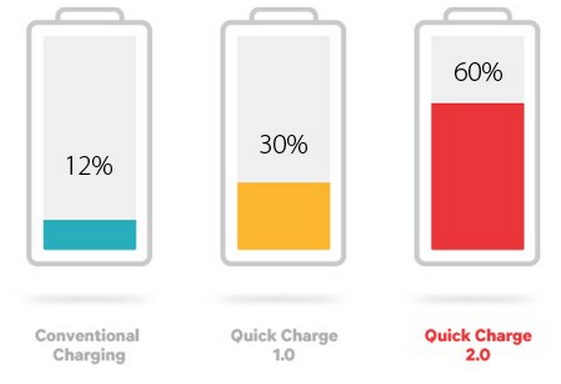 Provide 3 times faster charging speed for Quick Charge 2.0 compatible devices than conventional chargers. 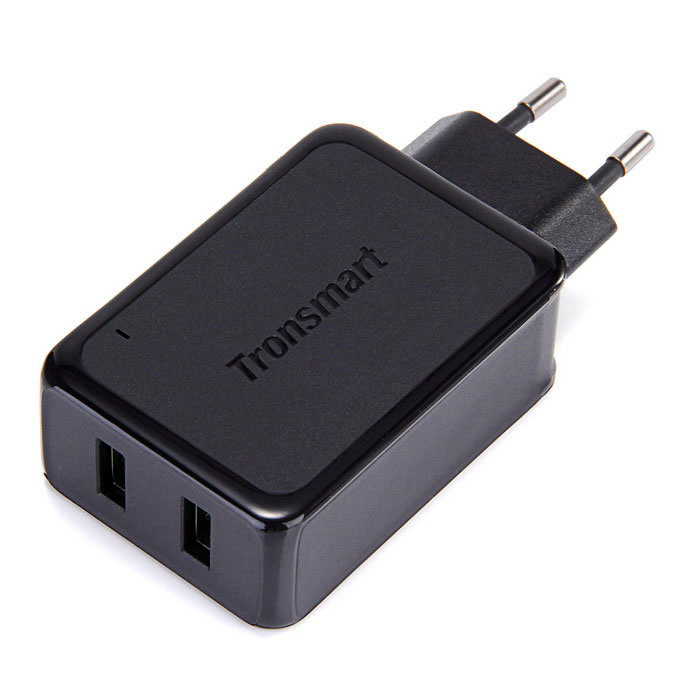 Tronsmart patented VoltIQ technology can automatically identifies the power level required for each connected device and offers quicker charging speed for most other devices. 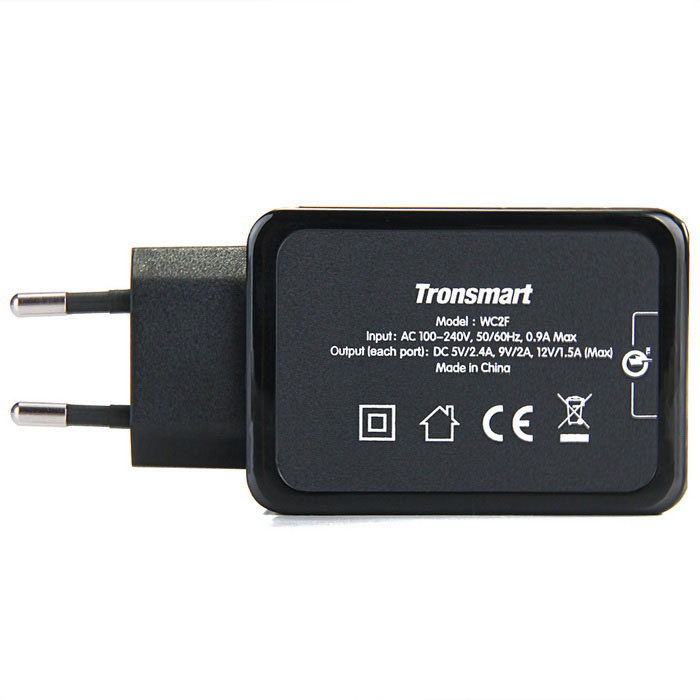 Built with industry grade materials and premium circuitry, WC2F wall charger is equipped with, all the safe protection—OCP (over current protection), OVP (over voltage protection), OTP (over temperature protection), SCP (short circuit protection), OLP (over load protection). Input: AC 100-240V, 50/60 Hz, 0.9A max. Output (all ports): DC 5V/2.4A, 9V/2A, 12V/1.5A max.